I would like to welcome all students and parents to my Physical Science class! 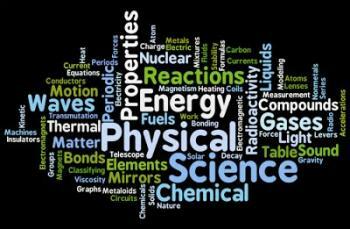 This course will be an introduction to chemistry and physics. We will start by investigating the characteristics of different elements and how they react with each other. We will combine certain chemicals to observe different reactions and study those at a molecular level. By second semester we will dive into the laws of physics and how they apply to the world around us. The app powered droids, aka the library robots, will help us apply our knowledge of speed, acceleration, and forces to real life situations. We have a challenging and exciting year ahead of us! Get ready! 1) 3 Ring Binder With Dividers And Lined Notebook Paper.